To fulfill the requirements set by the state and federal law. 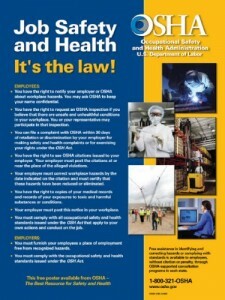 To show how to provide a safe and health working environment. To increase awareness in areas of concern. To educate and share information. Consultation in the office can be as short as a 2-3 hours on how to be compliant in OSHA’s Bloodborne Pathogens, to a full day on how to get the staff motivated with their new duties. MSDS consultations fees are far below the standard. We have a passion for safety and want our clients to know they can get everything they need for their license and peace of mind with one company. MSDS is proud to offer a wide variety of training classes. Every class we teach has one goal in mind; to increase the confidence of the staff members to perform life saving techniques that will not only potentially save lives, but to also decrease the ever increasing legal risks in your office. Recognizing the Four Types of Abuse: Child, Elderly, Domestic Violence and Human Trafficking. ACLS Intro – only offered through a webinar based class. This is a great class to increase your confidence prior your required ACLS class. PALS intro – only offered through a webinar based class. This class will give you the tools you need to prepare you and your staff for the required PALS class. If your office has a suggestion on a class they would like to see MSDS offer, please email us your suggestion. If the class is offered, MSDS will pay the first office that comes up with the suggestion $100.00. For the past few years, MSDS has sent required monthly safety classes through newsletters to keep you OSHA compliant. With our website, you will not have to worry about the attachment being too large for your computer or a risk of the email tagged as spam. All current clients of MSDS, who are up to date with their required OSHA’s Bloodborne Pathogens class, will have access to all the safety classes in one location. This will enable your office to choose what classes you would like for your safety meeting. Each month MSDS will still send out an email reminding your that your office is due for their monthly class. MSDS’ Personalized Exposure Control Manual has been analyzed by many OSHA inspectors with nothing but high praises. Our manual has also been reviewed by Gordon Christiansen’s CRA evaluators with a score flexing in the 97-98%. MSDS will schedule a two hour consultation appointment with one of your team members. At the appointment we will go over your specific office policies and procedures which relate to the federal guidelines. Don’t worry, MSDS will not allow you to answer the questions incorrectly. Your staff will understand office policies and procedures and how it relate to your manuals policy and procedures. This is the primary item that OSHA will want to look at. If you don’t have the right paperwork in your manual, the citations average around $1000.00 each and typically three or more violations are found. MSDS’ Personalized Exposure Control Manual is only $398.00. This includes the two hour consultation! Do not delay, this is a simple fix. Most office only have a generic fill in the blank guideline manual. It must be personalized. The telephone is still a wonderful tool to get your message across. MSDS utilizes the telephone for consultations that do not require hands on instruction and provide the offices that would normally require an additional travel expense, a personalized class at a reasonable cost. Webinars are looked at by some as a wonderful way of lecturing a few offices at once. MSDS will be scheduling the lectures through webinars each and every month so in the event one of your staff is sick or out of town, and cannot attend your prescheduled office class, they can attend one of the webinars at their earliest convenience. Webinars are a fun way to listen and learn not only from what your lecturer has to say, but also from the questions and answers that come from the polls that are issued throughout the webinar. Mock Inspections have increased for MSDS to the tune of 30% each year. Dentist’s love the thought of having a consultant evaluate their office for potential guideline discrepancies. Each violation is estimating at approx 1000.00. If MSDS can find and fix the situations before they become problems, we can save your office, not only thousands of dollars, but also instill the confidence in the office staff. Mock Inspections average approx 4 hours in length. MSDS needs to have the ability to ask questions throughout the inspection drill or to have an assistant shadow the inspector. Many of our offices will have the Mock Inspection first and then their OSHA class afterwards. It’s a great way for MSDS to see what your office needs to work on and your office to have 1/2 a day of production. Do you have a question for the Board of Dentistry, FDA, EPA, HHS or OSHA? Most offices have questions from time to time, however, maybe the question you are wanting to ask is not a question you want your name or office name attached to. Let MSDS be the liaison between you and the government regulatory body. We will take your question and have it interpreted for MSDS so your name stays strictly confidential.